Designer, Jeep driving, skull tattooed, lover of home design + fashion. Just a ‘BOYMOM’ who loves to create. Enjoy my photo gallery I designed that shares a little bit about me. My two boys whom forever have my heart. My happy place. My love for fitness and friends. My girl crush Miss CoCo. My beautiful boxer. My motto. Own a fabulous candle. Burn often. Relax + enjoy the fragrance. My most favorite pillow ever! 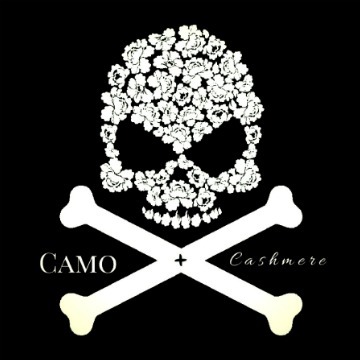 My logo design for CAMO + cashmere and my silly love for skulls and all things pretty. My jewelry advice. Own a killer leather bracelet, add your favorite perfume oil for all day fragrance, then add some more bracelets to create a one-of-a-kind stack.